This Ben Sherman hoodie is going to be your son's favourite. 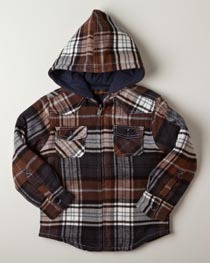 Comfy go-with-everything plaid with soft cotton lining for the hood. Zip front for for quick getaways! 100% cotton. Perfect for in between seasons!